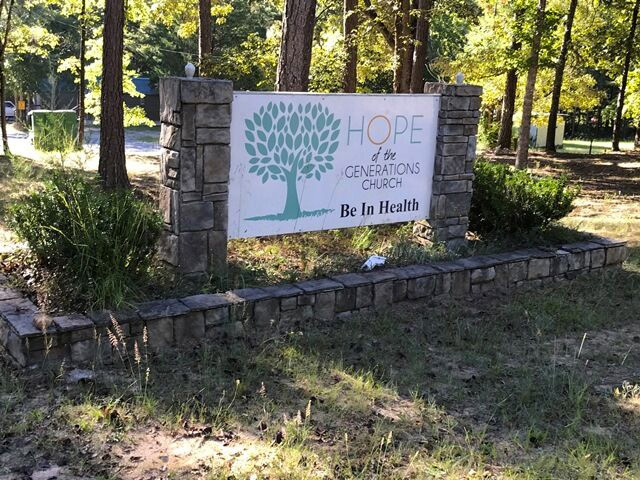 The Hope Inn is conveniently located approximately 1.5 miles from the Hope of the Generations Church and the Be in Health® campus. 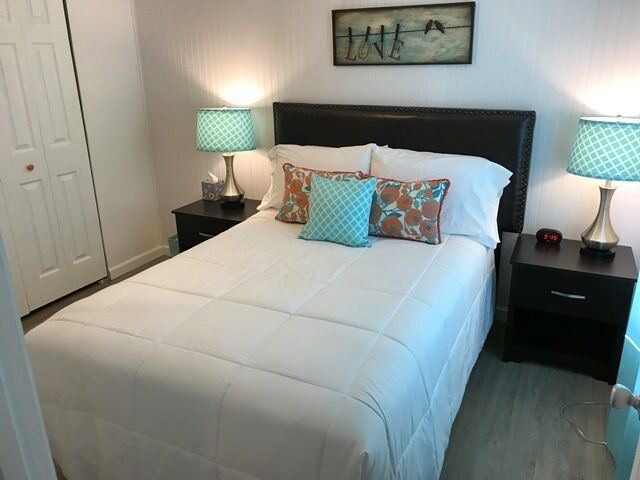 It has been recently updated with all new furnishings, mattresses, linens, flooring and much more. 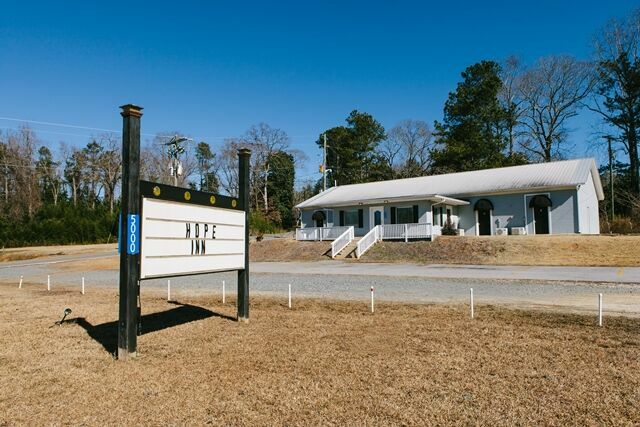 Formally called the Crestview Inn, it is now completely owned and operated by Be in Health®. 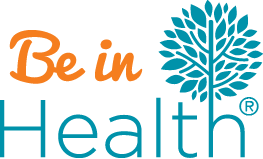 Therefore, these and all other accommodations provided by Be In Health® are only available to those participating in the various programs we offer here. 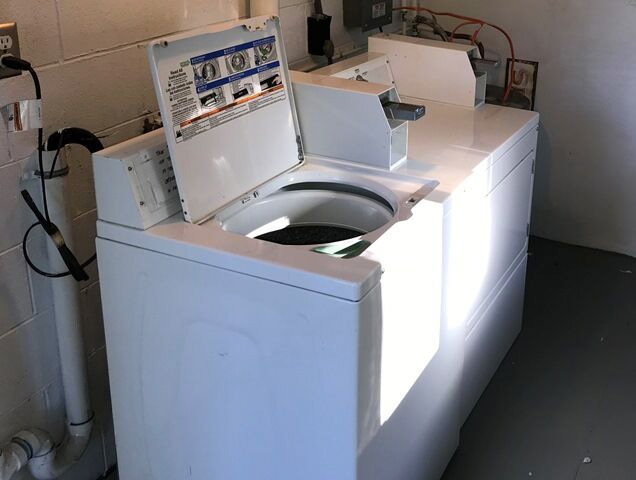 This ensures a safe and healthy environment of like-minded people so that we can provide wholesome fellowship and the best possible overall experience for our guests. 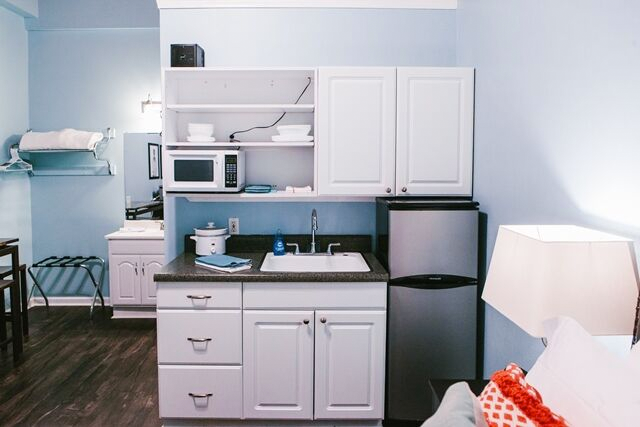 All rooms at the Hope Inn are equipped with a mini kitchenette in each suite complete with a sink, a small refrigerator, microwave, toaster, coffee pot, cutlery and dishes for 4, as well as a small table and chairs. 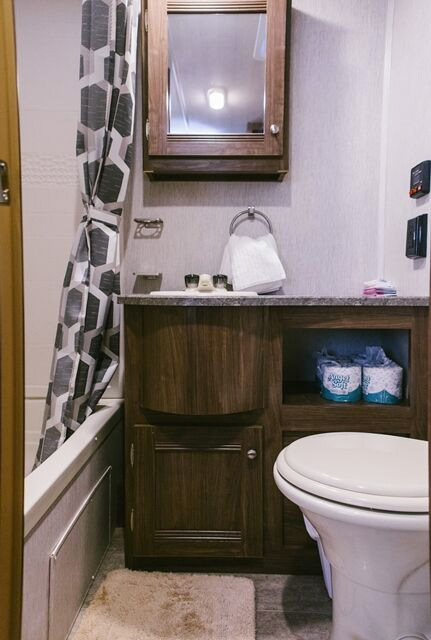 There is also a full bathroom that includes a jetted tub as well as a shower and a wall mounted hairdryer. 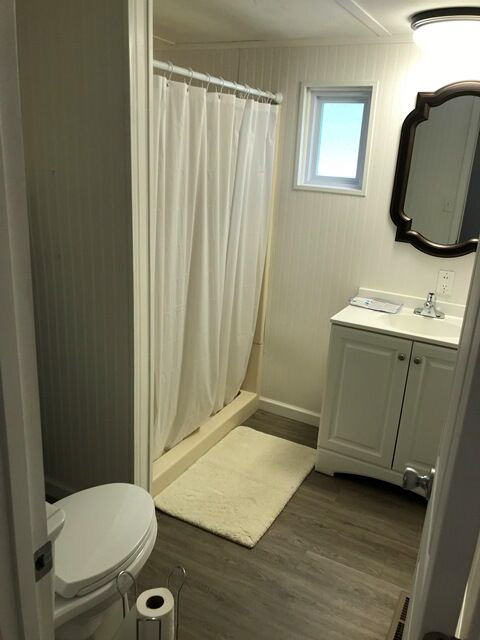 For your convenience, we provide kitchen towels, bath towels, bedding and hand and dish soap. 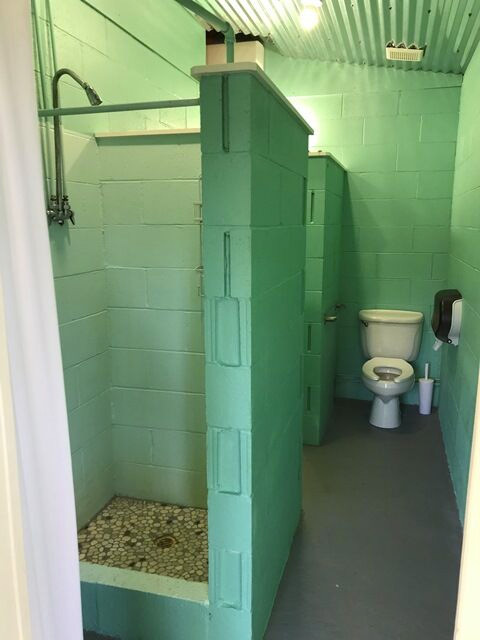 Please provide your own toiletries. 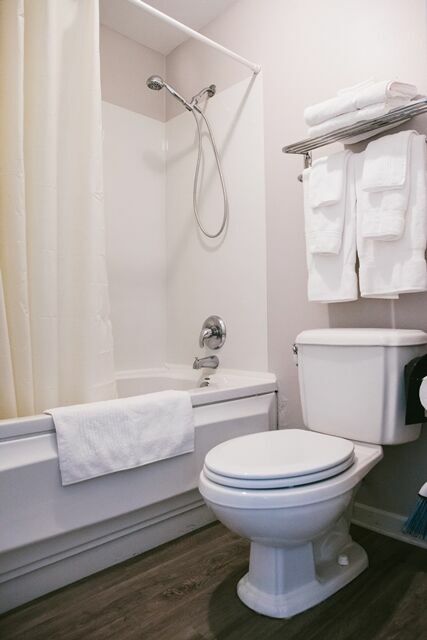 Free WIFI is also available for our guests’ use while staying with us. 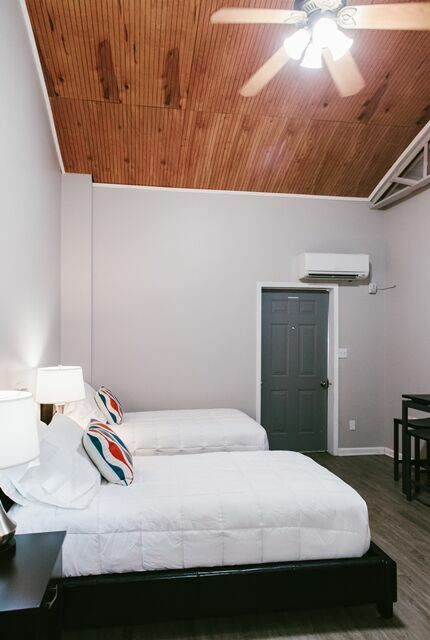 We provide a few different room options: To accommodate one or two guests we have rooms available with either one queen size bed or two single beds. 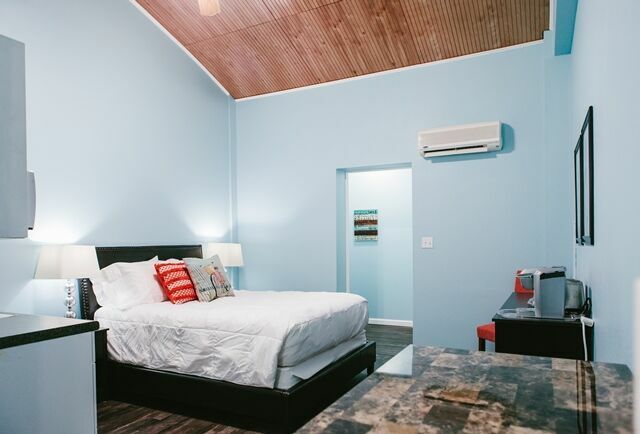 We also have rooms designed to accommodate families: one option is two rooms with an adjoining foyer, one room has two single beds and the other has a queen sized bed. 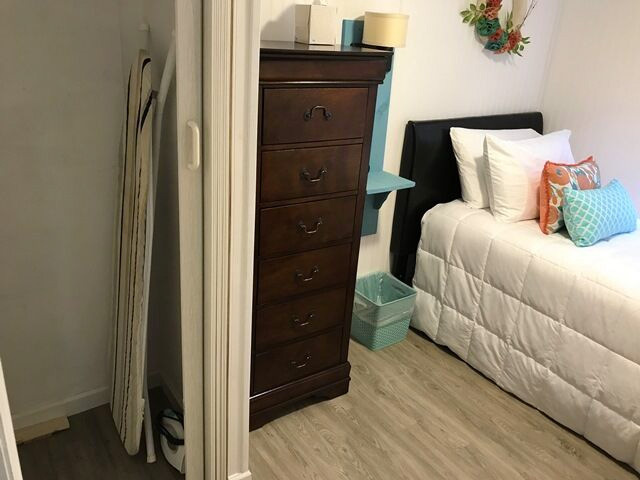 Another option is a room furnished with a queen sized bed and a bunk bed. 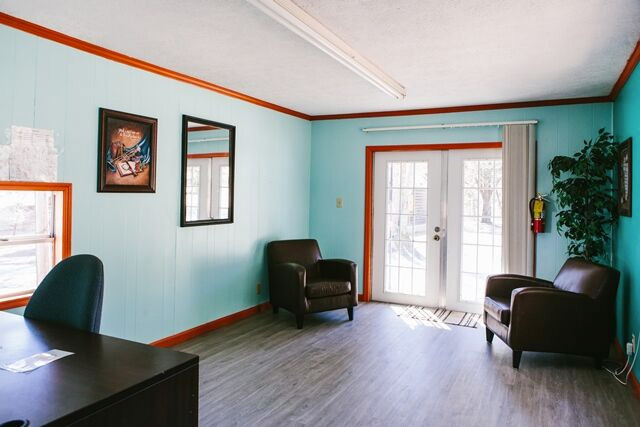 The lobby of the Hope Inn is furnished with ample seating and is a pleasant common area for our guests to fellowship and use at their leisure. 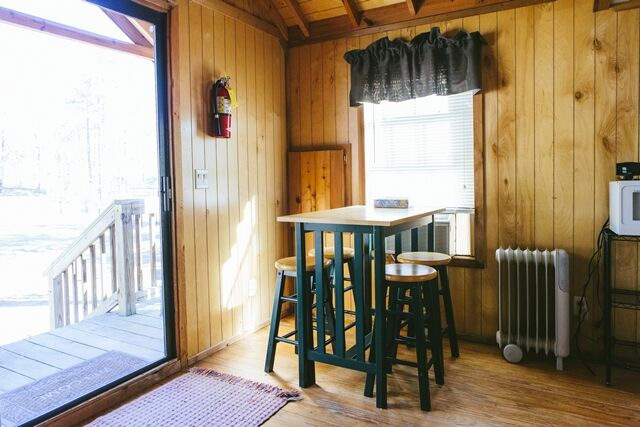 Six night rental is $444 or $74 per night, which includes all taxes and fees. 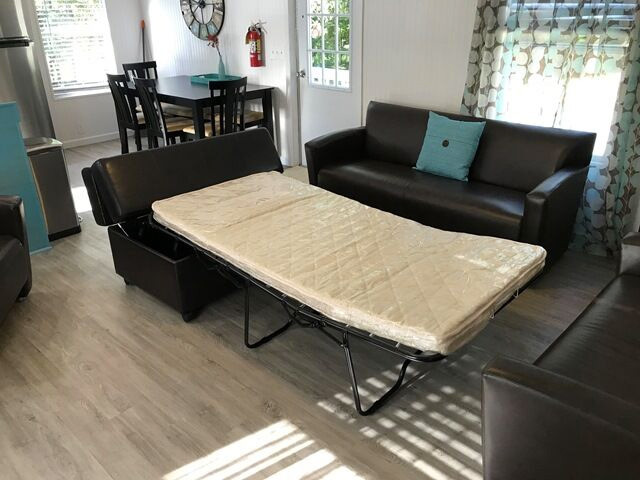 Please note that there is no daily maid service provided at any of our accommodations. 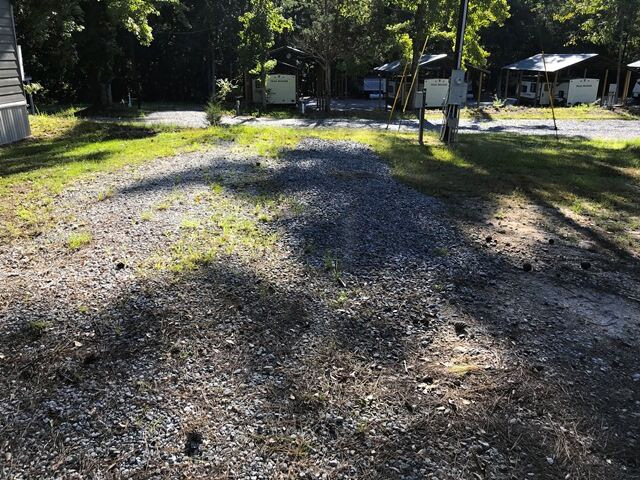 Set in the foothills of the Appalachian Mountain Range, our retreat center is a picturesque, peaceful setting for our guests to relax and hear God. 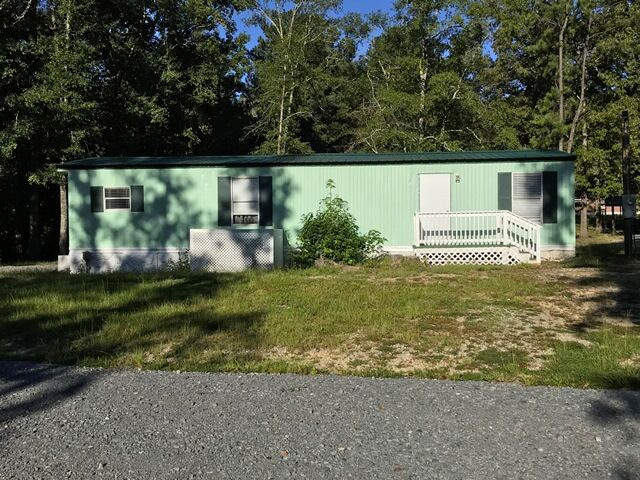 It is set on 33 acres of mostly wooded land complete with towering pine trees as well as plenty of wildlife. 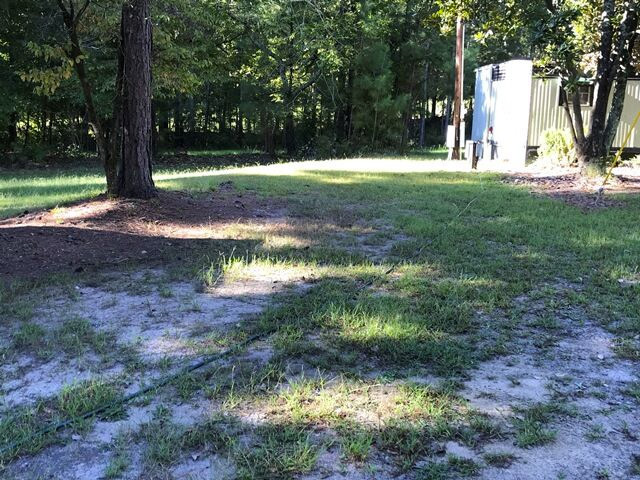 It isn’t uncommon to see deer grazing near the common area as well as a variety of birds flitting through the trees. 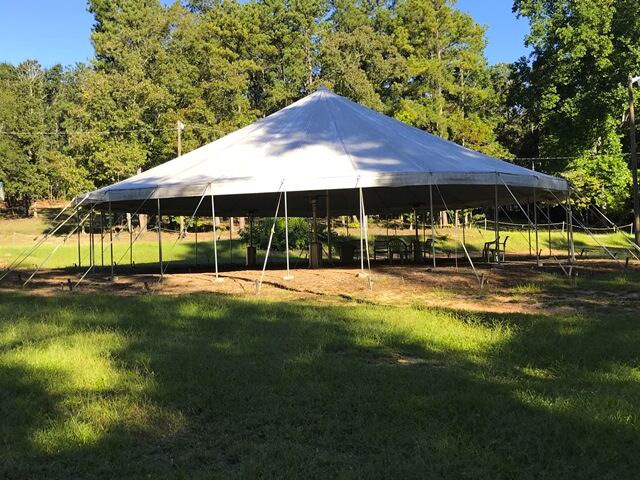 There is plenty of space to stroll as well as a common area under a large event sized tent. 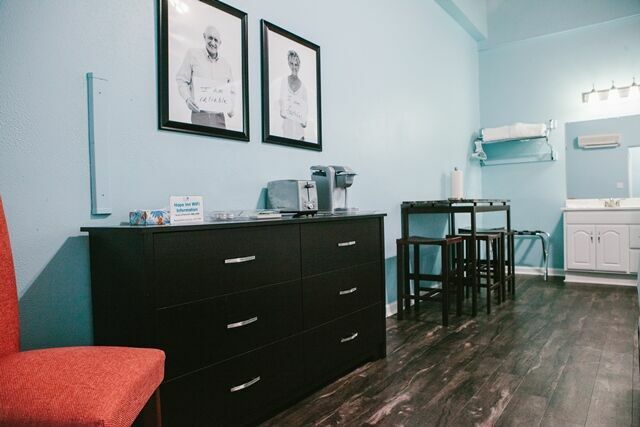 The Retreat Center is also exclusively owned and operated by Be in Health® providing us the opportunity to not only serve you better, but to also create a safe and nurturing environment for all of our guests in order to ensure the best possible experience while staying with us. 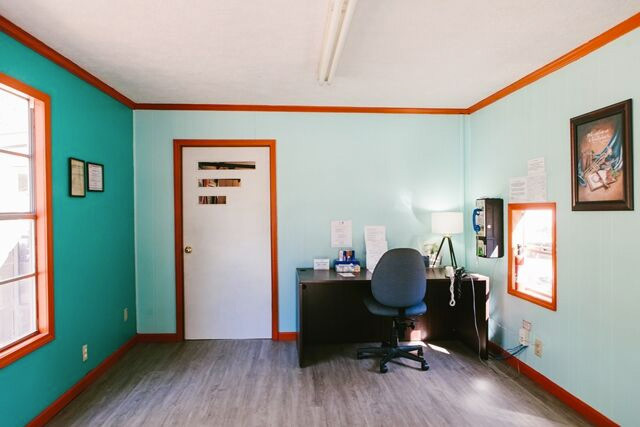 Our accommodations are only open to attendees of the various programs that we host throughout the year. 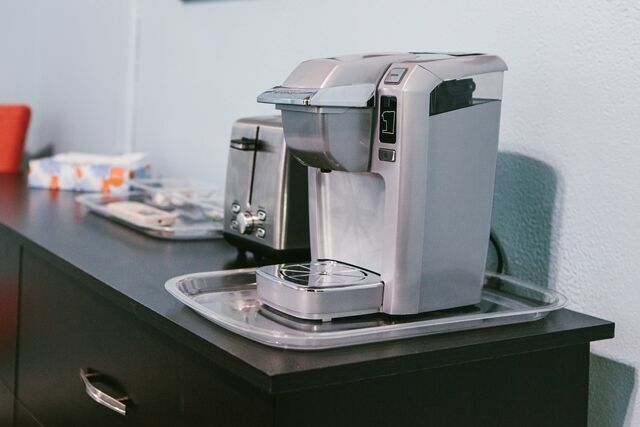 This ensures that all of our guests are like minded fostering a pleasant environment for fellowship. 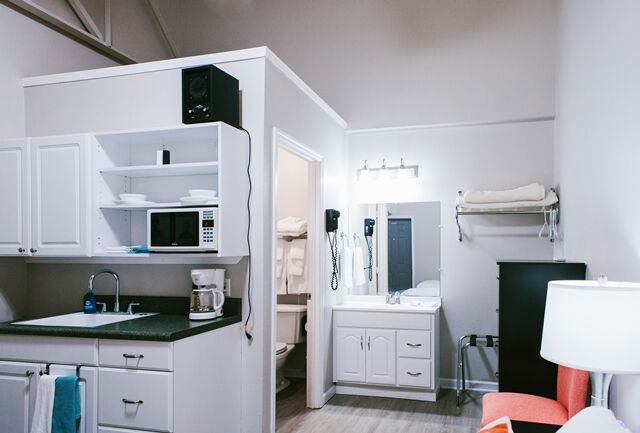 All of our accommodations at the Retreat Center include a kitchen stocked with a toaster, coffee pot, cutlery and dishes for 4, as well as cooking pots and basic cooking utensils. 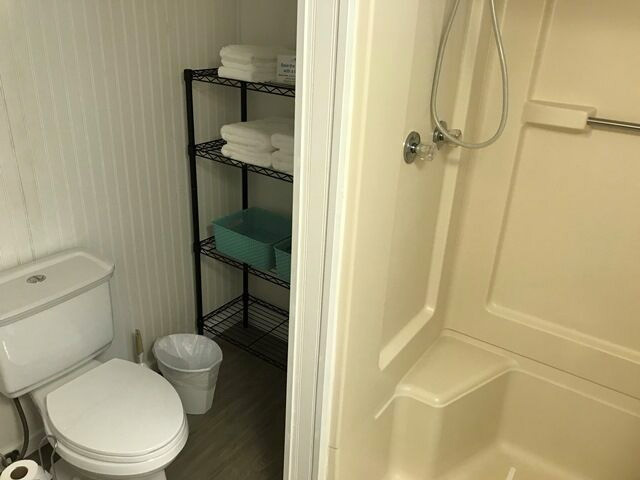 For your convenience we also provide towels and linens, as well as paper towels, toilet paper, hand soap and dish soap. 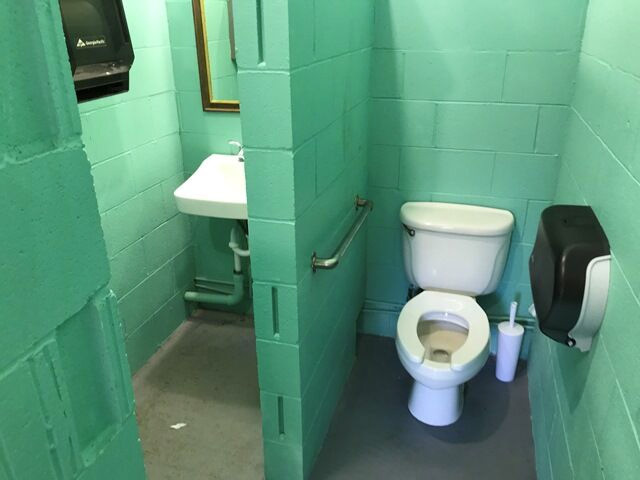 Please provide your own toiletries. 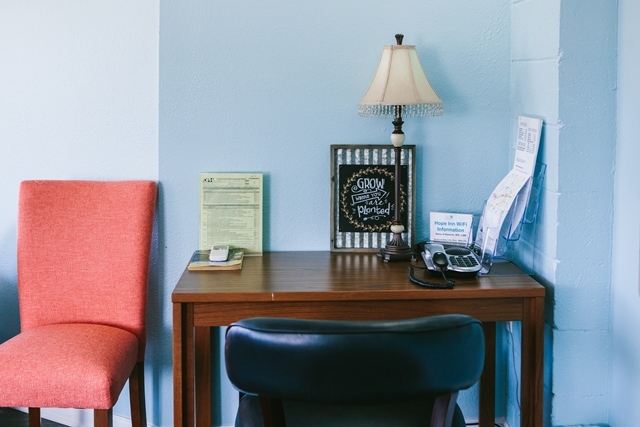 Free WIFI is available throughout the main lodging areas of the Retreat Center. 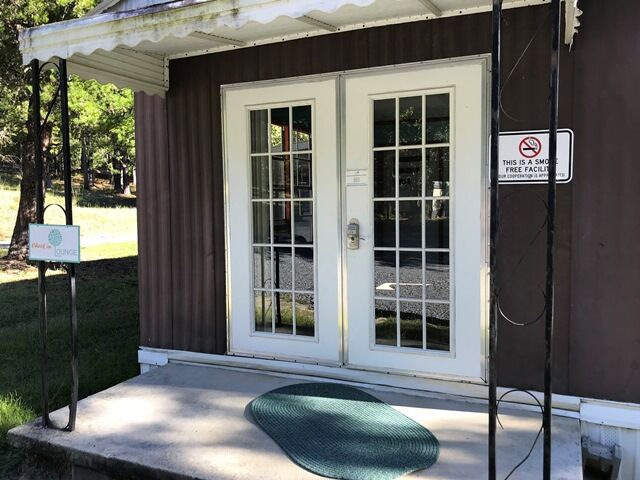 There is also a Vonage phone available for free calls within the United States and Canada in the Check-in Lounge, which is the first building to your left as you enter the Retreat Center. 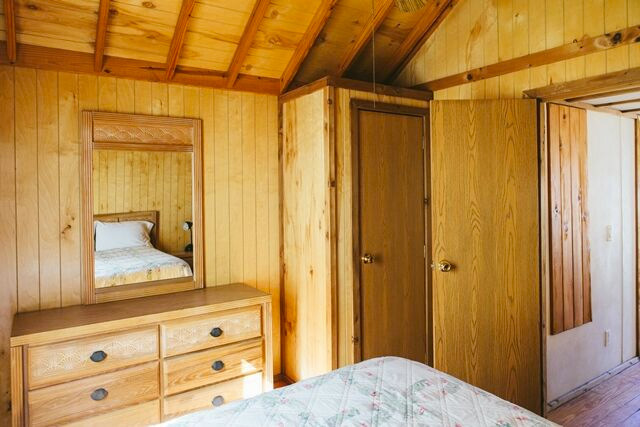 We have eight cozy, all wood construction cabins with large sliding glass doors on the front making them feel open to the outdoors. 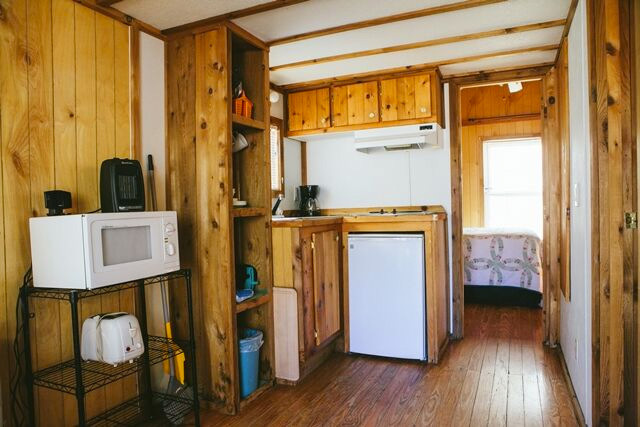 All of our cabins include a small kitchen complete with a sink, a two burner stove, a microwave and a small refrigerator. 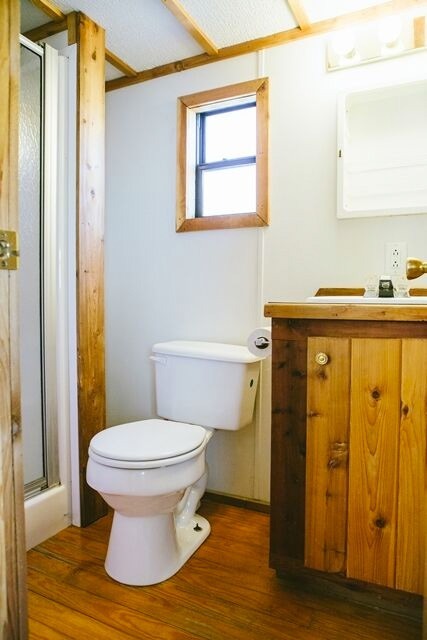 The bathrooms include a shower, sink and toilet. 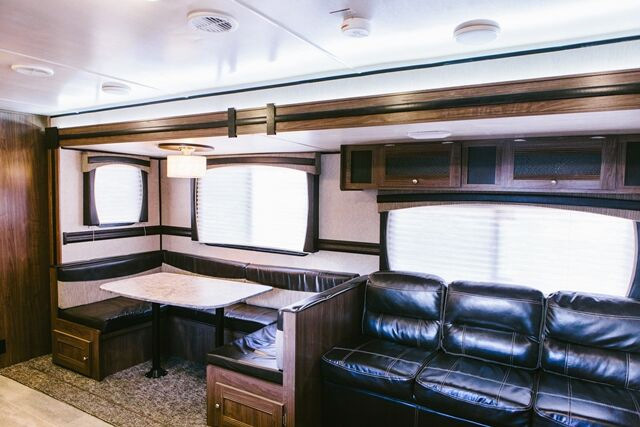 There is also a living room area and a small dining table with chairs. 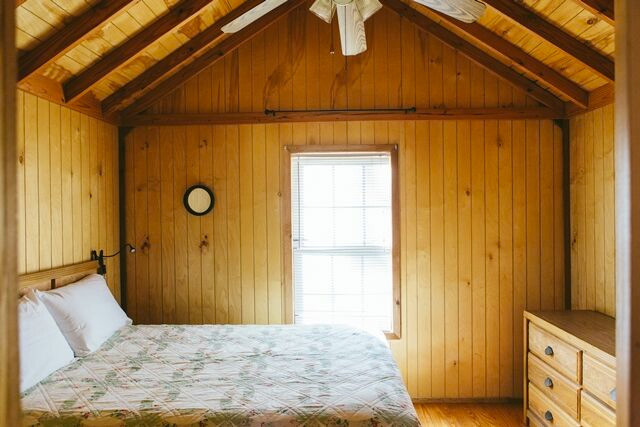 The standard cabins feature one bedroom with a full size bed as well as a loft with a futon mattress. 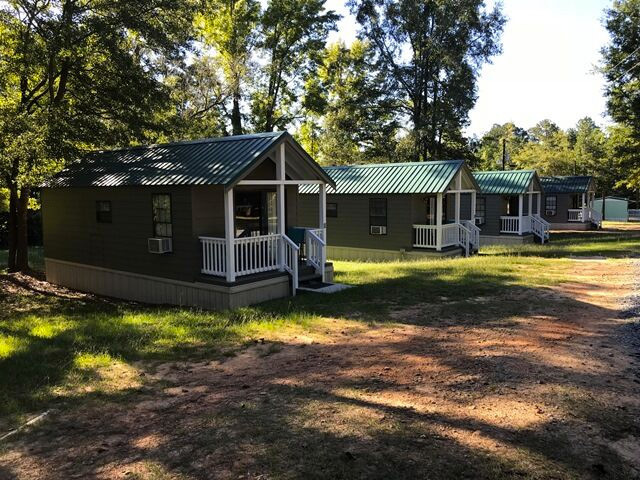 These cabins are prepared to comfortably sleep one or two adults with the loft being comfortable for a small adult or child. 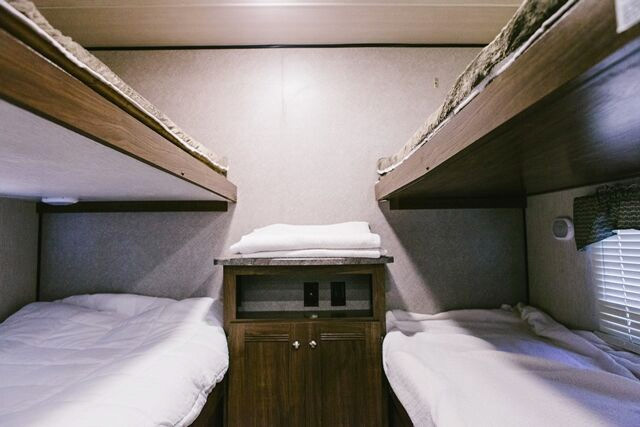 We also have one larger cabin that features one bedroom with a double bed and two small lofts with mattresses. 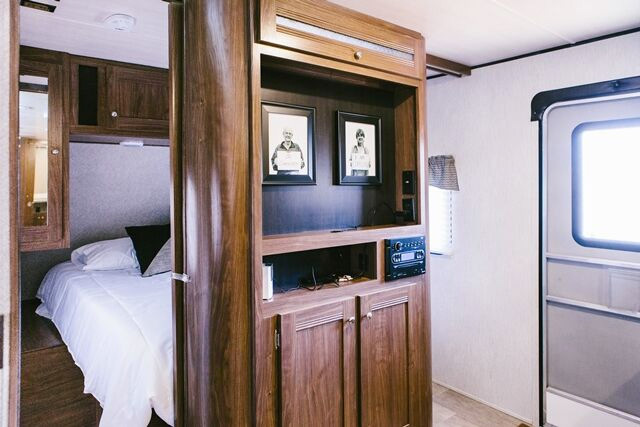 We offer eight beautiful new campers furnished with a queen bed and two bunk beds. 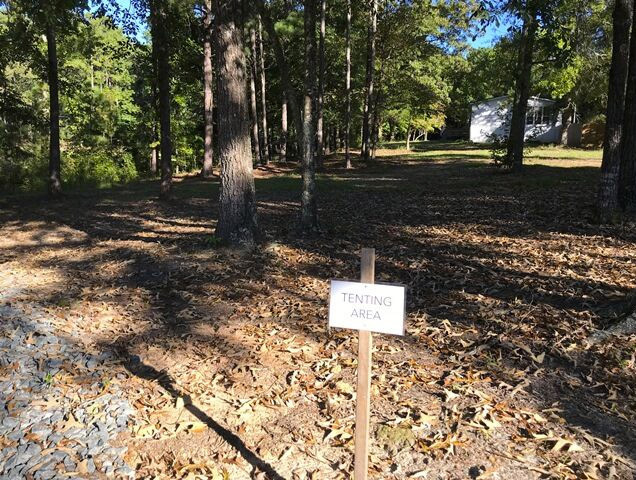 They are each covered by a permanent canopy that supplies adequate shade and protection from the elements. 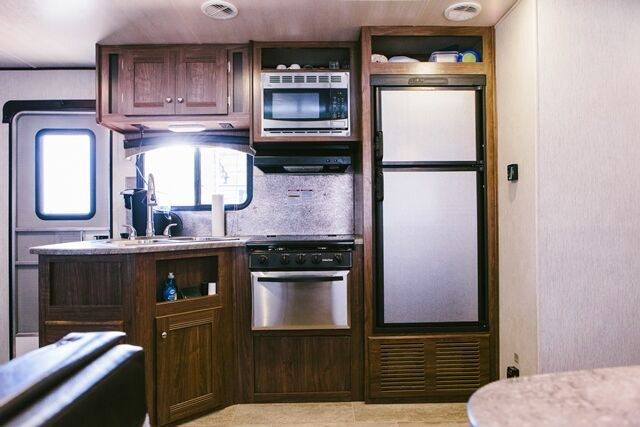 They include their own bathrooms and kitchenette complete with a stove and oven, a microwave, refrigerator and sink. 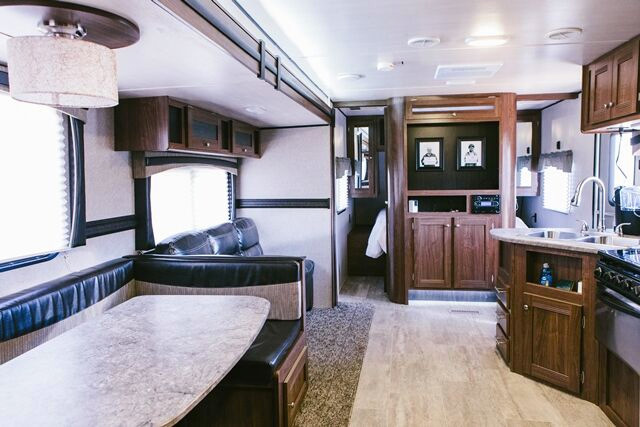 There is also a cozy dining area as well as a living room area. 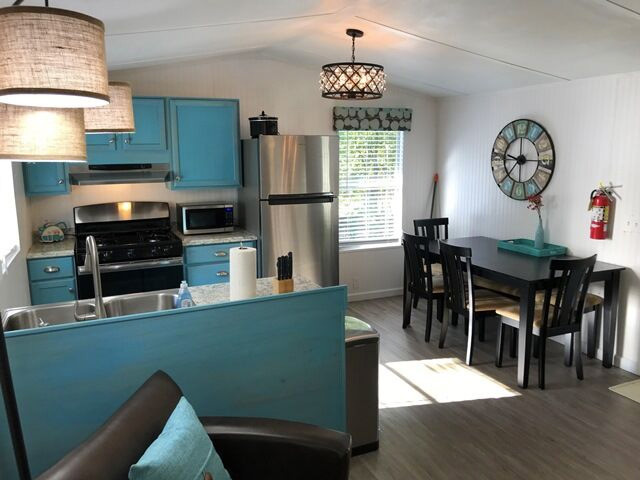 This furnished two bedroom dwelling has been recently remodeled including an all new kitchen and bathroom, as well as new flooring and furnishings. 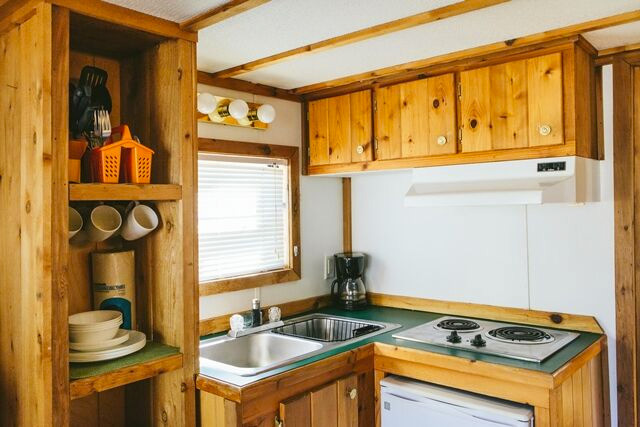 This accommodation features a full kitchen complete with a refrigerator, a stove with an oven, a sink and a microwave. 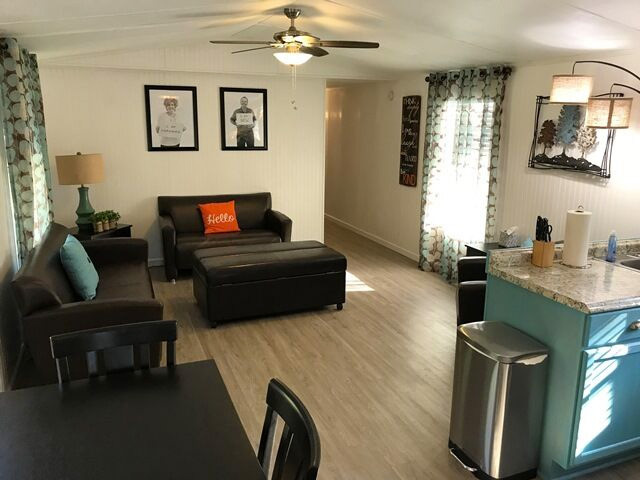 There is adequate space for either a single person or a family of three with a more roomy living area and dining area as well as a full bathroom. 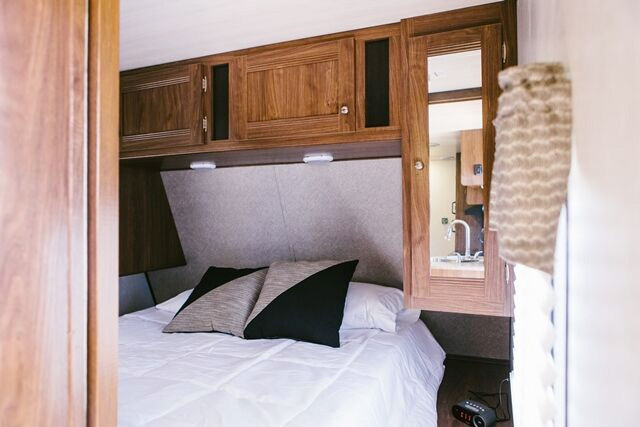 Sleeping arrangements include one bedroom with a double bed and another bedroom with a twin bed. 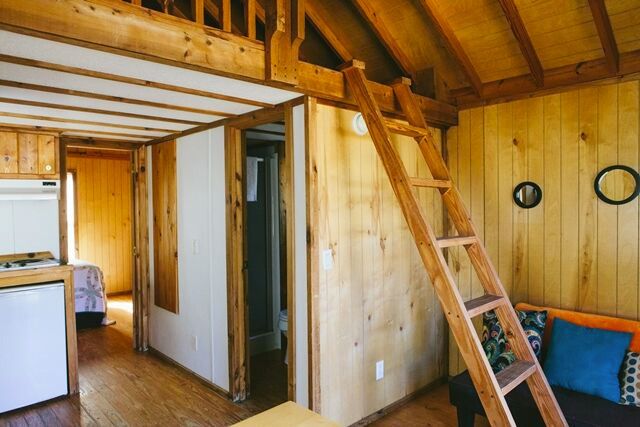 Six night rental is $600 or $100 per night, which includes all taxes and fees. 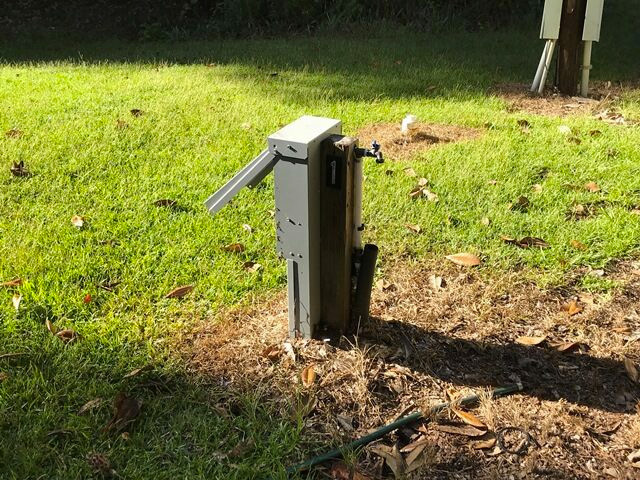 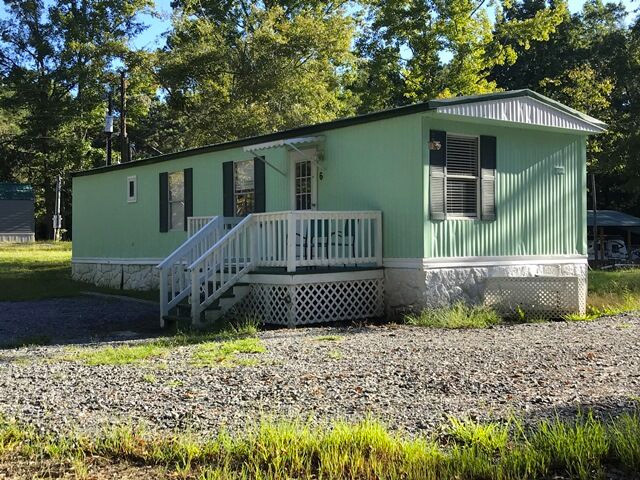 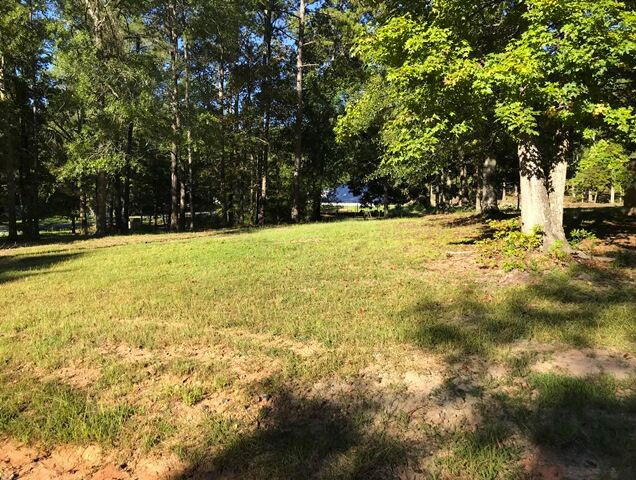 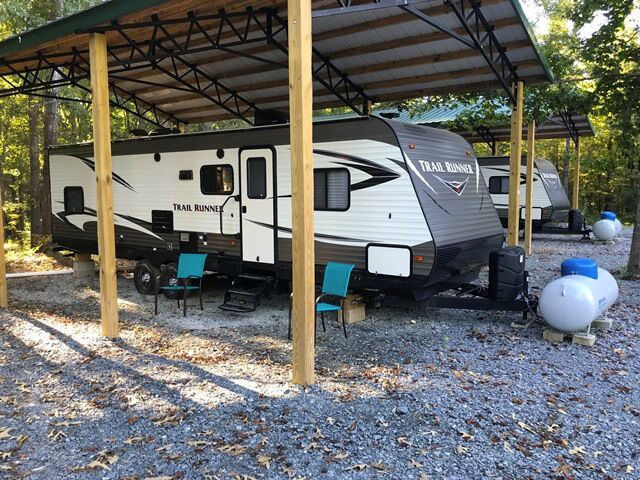 We also have RV sites available with either a full hookup including water , a 50 amp electric hookup, and septic , or sites with only electric hookup. 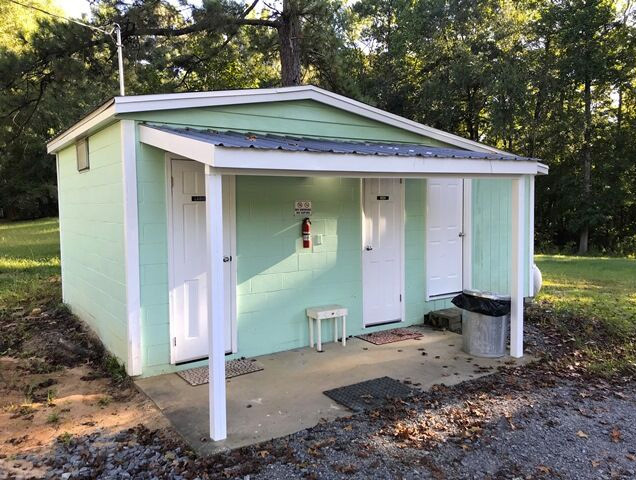 $35 per night, which includes all taxes and fees. 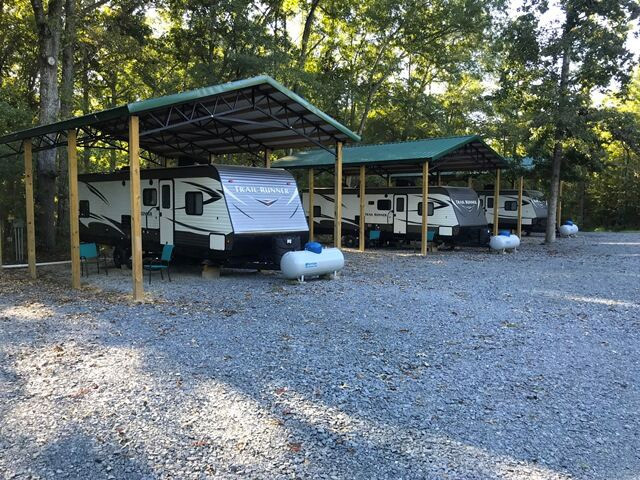 If you’d prefer to camp out under the stars, we have tenting sites available seasonally with the added convenience of a common bathhouse nearby. 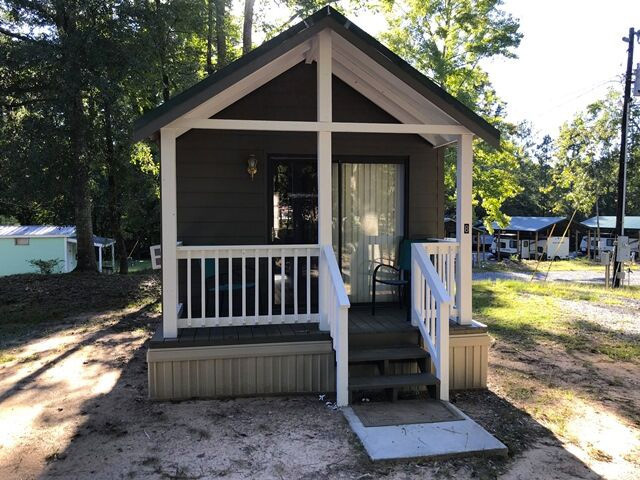 $12 per night, which includes all taxes and fees.